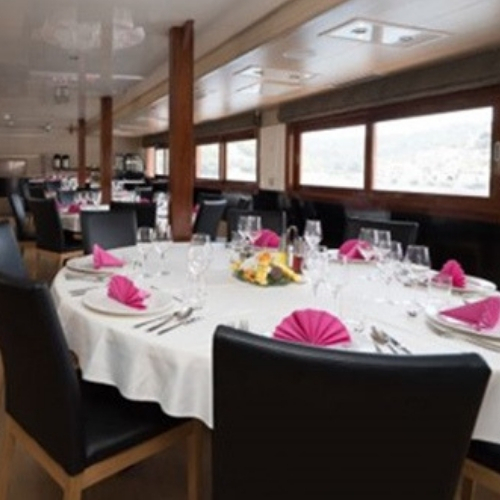 The MS Karizma is an elegant and modern luxury vessel offering an intimate cruising experience. The ship’s compact size allows direct access to the smaller ports, harbours and beautiful bays, coves and inlets en route to your destination. Launched in 2016, the 48m cruiser features 18 spacious and comfortable air-conditioned en suite cabins for up to 36 guests. 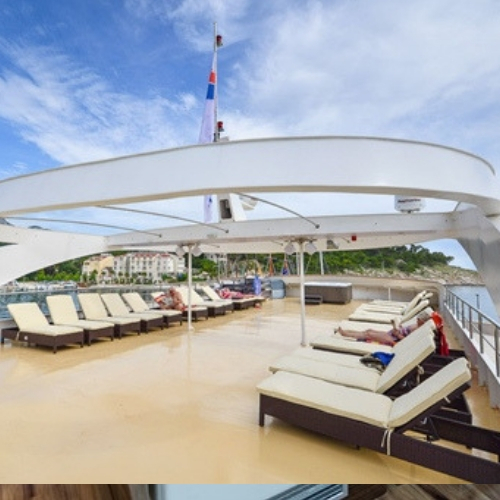 Communal areas of the ship include a chic salon-restaurant with panoramic windows, a lounge bar with outdoor seating, and an expansive sun deck with sun loungers and Jacuzzi. The ship’s rear swimming platform provides easy ladder access to the sea. Launched in 2016, the MS Karizma is a luxury yacht-like cruiser boasting spacious standard double and twin air-conditioned cabins for up to 36 guests, and comfortable expansive public areas. The cabins are arranged over the main and lower decks and feature private en suite bathroom and the latest amenities. From the comfort of the chic salon-restaurant guests can enjoy delicious culinary delights and spectacular panoramic views. There is also a well-appointed outdoor terrace and a large sun deck with relaxing sun loungers. During scheduled swim stops, the aquamarine sea is easily accessed via the swimming platform located at the rear. 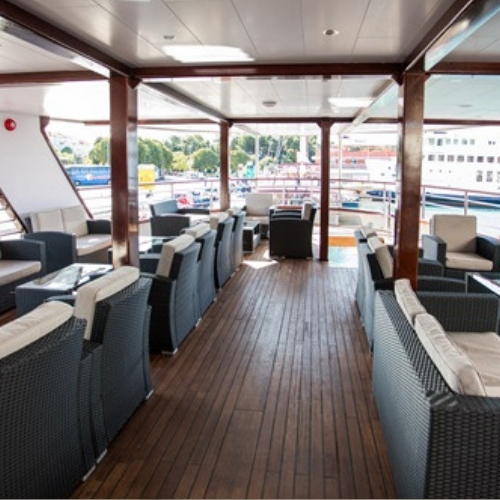 Guests can relax and unwind in style in the elegant air-conditioned cabins that are located on the main and lower decks. All of the comfortable and spacious cabins feature private en suite bathroom with shower, a wardrobe, flat-screen LCD TV, desk, in-room safe, hairdryer, mini bar and complementary toiletries. The décor is modern and sophisticated in a neutral palette of colours. Windows and portholes provide the rolling scenic views. The standard twin and double beds provide flexible bedding configurations. 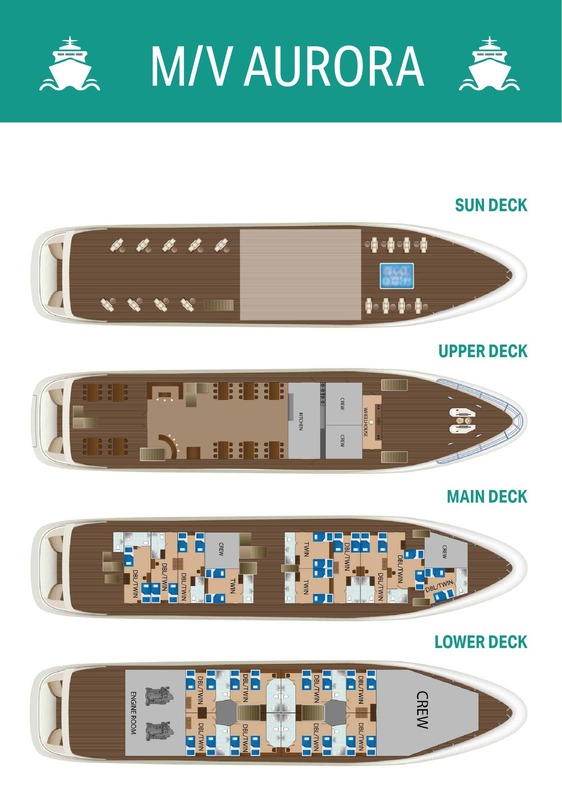 An abundance of space is available in the ship’s 5-star category public areas. The salon-restaurant offers panoramic views from the large windows and comfortable seating that accommodates all guests in a single sitting. The dining facilities extend to the lounge/bar and covered outdoor terrace that boasts luxuriously comfortable sofas. During the day, guests can soak up the sunshine from the spacious sun deck that is equipped with sun loungers and a Jacuzzi. 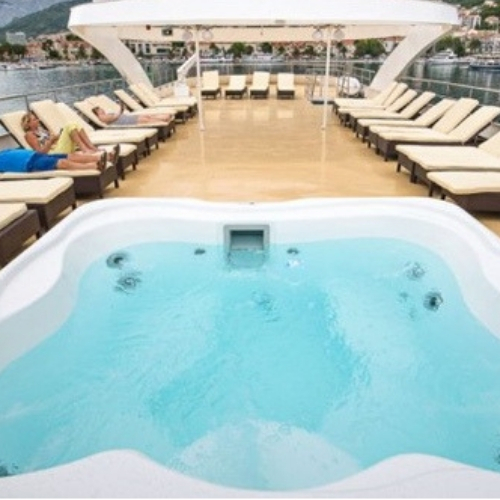 From the rear of the ship, direct access to the sea is on offer via the swimming platform.